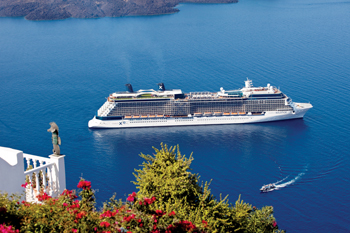 Celebrity Cruises, a premium cruise line which was founded by the Greece-based Chandris Group, is growing its footprint in the Middle East region adding more luxury ships to tap into the highly potential market. Cruise tourism has been growing very fast in the recent years especially in the Middle East, with more and more people considering a cruise for their vacation. 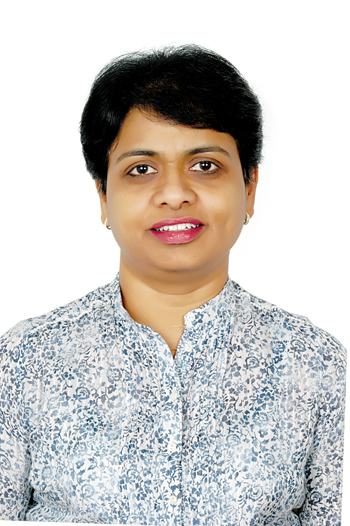 With more cruise ships sailing in the region, the awareness about cruising holidays is on the rise, says Lakshmi Durai, chief executive officer, Travel Matrix, Middle East representative for Celebrity Cruises. 'We have one of our ships, Celebrity Constellation, sailing out of Abu Dhabi in winter 2016-17. We look forward to welcoming our modern luxury brand to the Gulf and having a successful season,' she says. Durai says Celebrity Cruises is making more upgrades to two of its ships, with a series of exciting refreshes that will elevate the modern luxury experience onboard. As the first cruise line to offer a spacious lawn of real, growing grass on the top decks of its ships, Celebrity will expand its lineup of modern, luxurious outdoor spaces in Celebrity Infinity and Celebrity Summit, she says. Guests always look for the best in any vacation and the same applies to cruising as well. People’s taste and preferences vary; some guests opt for bigger ships, while some opt for mid-size cozy ships with a friendly atmosphere. There is also demand for boutique ships and destination oriented sailings, Durai explains. Celebrity Cruises is building two new ships that will set the standard for premium world travel and deliver the next generation of modern luxury experiences that our guests know and love. 'On these stunning new ships we will bring our guests even closer to the must-see destinations of the world, while indulging them onboard in the most luxurious accommodations, the finest culinary experiences, and the best hospitality delivered by our dedicated staff,' she says. She continues: 'The UAE and Oman are already popular cruise destinations. Of late, one sees more countries in the region developing their cruise terminal and enhancing the facilities for cruise guests. This would give more ports of call options for the cruise lines and thus make the Gulf cruise more interesting for international guests. 'Cruise tourism experienced good growth in 2015. However, there is still a huge population in the Middle East who have not experienced cruising, so there is plenty of opportunity for the cruise industry to grow in the coming years. Durai points out that the average tourist goes on vacation at least once a year, but with the economic downturn, they will be increasingly seeking all-inclusive, best-value vacation options. To this end, cruising offers hassle-free vacation across multiple destinations for excellent value and thus is more suitable for guests, she says. 'Most of the fun elements of a holiday – such as food, entertainment, sports and kids’ activities – are included in the cruise price, so cruising is viewed as the best value for money,' she says. Durai says that 2016 will present challenges for the tourism sector in the Middle East but she still expects people to go on holiday this year. 'We also have our website www.celebritycruisesme.com dedicated for the Middle East where the guests can book and pay directly online,' she adds.